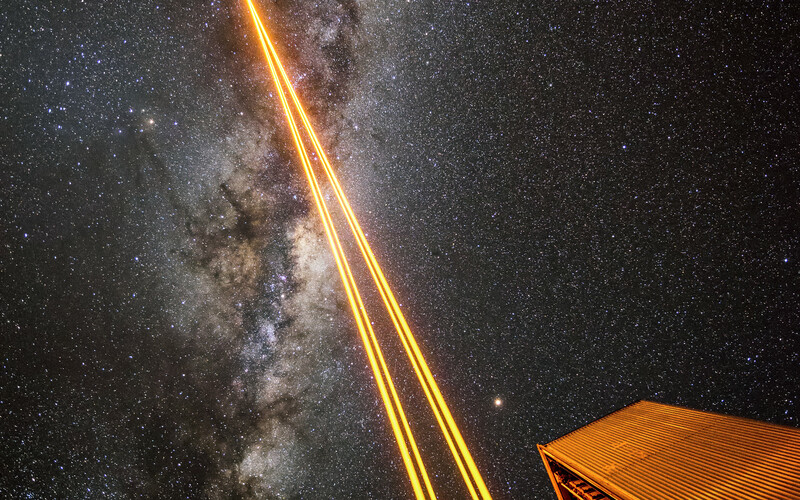 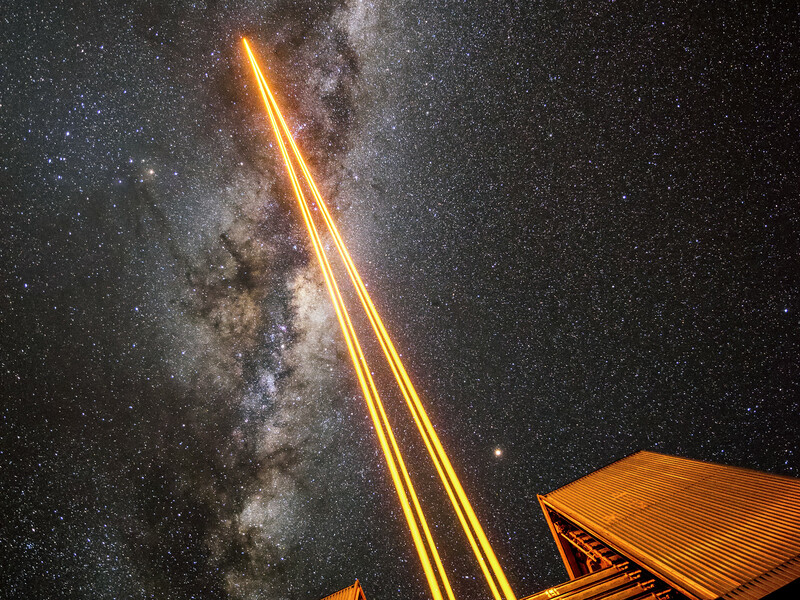 Unit telescope 4 (called Yepun) at ESO's VLT sends up laser light to create an artificial guide star. 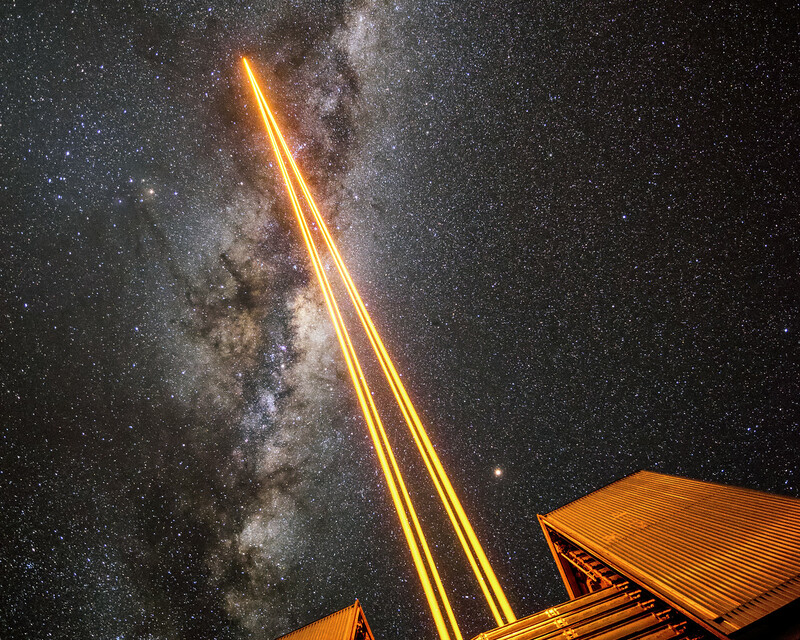 This is part of the Adaptive Optics system at the VLT, state-of-the-art technology which corrects the blurring effects of the Earth's atmosphere to produce higher resolution images. 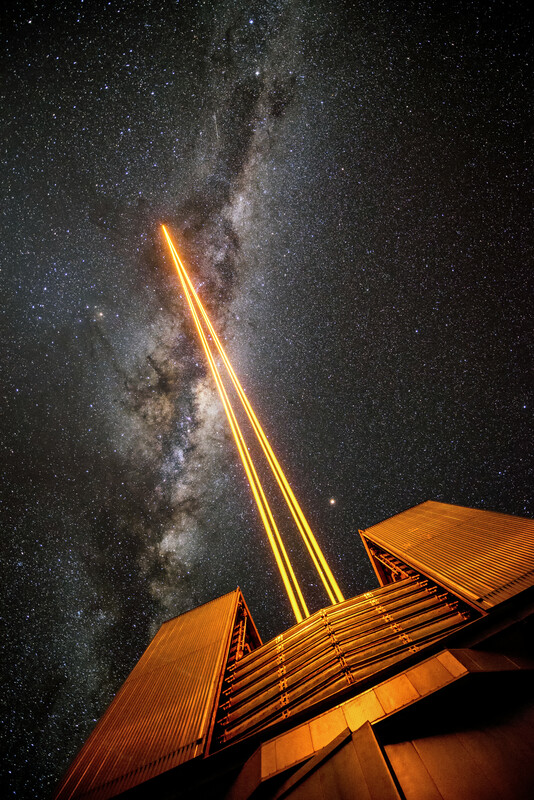 The VLT is the world's most advanced optical instrument, and leads to the publication of an average of more than one peer-reviewed scientific paper per day.